Unigard Insurance Company was founded at the end of the nineteenth century, in 1895, in the state of Oregon. Originally known as the Oregon Fire Relief Association, Unigard has gone through many changes in its 116-year history. In 1901, the company moved to Seattle and was renamed Northwestern Mutual Fire Association and later became Northwestern Mutual Insurance. 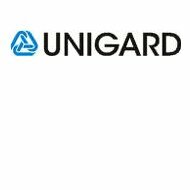 Finally, in 1971, Unigard took on its present name, meaning “one guard,” a single source for insurance coverage. Over the years, Unigard has grown and prospered. For a time, Unigard became a part of the great John Hancock group of companies and then in 1993, Swiss insurance group, Winterthur, purchased Unigard. At that time, the Provident Life Insurance Company acquired Unigard Olympic Life. In 2007, the remainder of the Unigard insurance organization became a part of QBE Americas. Uniguard provides casualty insurance for small business owners. Noting that slips and falls in the workplace account for a significant number of insurance claims, Unigard supports its business clients with a unique loss control service. Unigard offers testing for slip resistance on floors in the workplace to help prevent these types of accidents which helps alleviate losses from claims. The Unigard claims page, provides the user with comprehensive on-line claims reporting capabilities. Detailed instructions are available for reporting any kind of loss, keeping client safety in mind at all times. Emergency road service through Unigard affiliate National Automobile Club is also available to Unigard customers who have selected this optional coverage. Coverage includes towing to the nearest mechanic or shop and is available anywhere in the US. The emergency service number is 800-201-7894. Unigard’s website features free and immediate insurance quotes. Type in your zip code and the kind of insurance you are shopping for and you will receive an accurate quote within seconds. Multiple policy discounts are available through Unigard with savings up to 20%. Forms and notices including auto accident report forms are also available on these web pages. Unigard offers convenient online payment options to all of its policyholders through QBEpay. The Unigard Company and their many employees support a variety of charitable causes in the Seattle area. Sponsorships include the Mary Bridge Children’s Hospital, Red Cross, United Way, and March of Dimes among other worthy organizations. Donating time to local agencies such as the local food bank and other social service agencies help keep Unigard employees active in their individual communities.